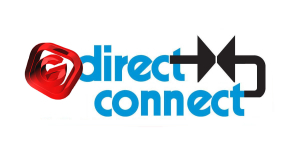 Channel genkan direct holiday rental channel manager is the ultimate in direct channel management for holiday and vacation rental managers worldwide. Channel genkan holiday rental channel manager works direct with the most popular holiday rental channels available including Airbnb, Booking.com, Homeaway and Stayz and removes the need to use an intermediary. genkan direct removes all the issues and problems with duplication of bookings when listing your properties with channels. TripAdvisor, the world’s largest travel site*, enables travellers to unleash the full potential of every trip. 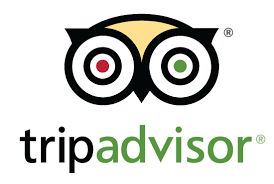 With over 600 million reviews and opinions covering the world’s largest selection of travel listings worldwide – covering approximately 7.5 million accommodations, airlines, attractions, and restaurants — TripAdvisor provides travellers with the wisdom of the crowds to help them decide where to stay, how to fly, what to do and where to eat. See the world firsthand not through loopholes with Expedia.com.au. While some other travel websites can add over AU$50 in booking fees to your bill, we offer the lowest prices, end of story. Actually, our low prices are just the beginning of your next big adventure, whether you’re off to somewhere new, or visiting your favourite places and people. Find convenient flights that fit your busy schedule and book hotels that exceed your standards and have everything you’re looking for. Plus, save even more time and money by bundling airfares and accommodation in one easy holiday package. All this can be yours when you sign up for our rewards program and start globetrotting! If you’re itching to get away and looking for some travel inspiration, check out these top holiday destinations..
Plan the perfect trip with Ctrip, China’s largest online travel agency. Whether you’re a leisure traveler, going on a business trip or looking to set up a corporate travel account, Ctrip helps you travel the world with cheap flights, discount hotel reservations, China train tickets, tours and vacation package deals through our convenient online travel booking service.Find a great global travel deal or get the biggest savings on business travel; Ctrip has you covered. Whether you want to travel internationally or need help with your China travel plans, make use of our secure, easy-to-navigate English-language site, supported by award-winning 24/7 customer service. With Ctrip, quality travel service in English, as well as Mandarin, Cantonese, Japanese and Korean, is just a call-or a few clicks-away.